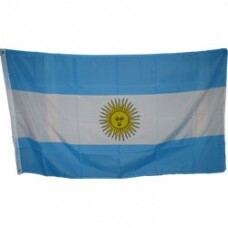 Buy this Argentina 3 feet by 5 feet 100% polyester flag. 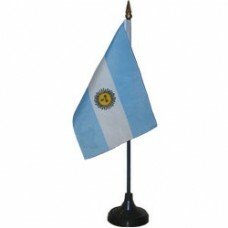 When bying a standard flag size for displa..
Buy this Argentina desk flag to display at your home or office. 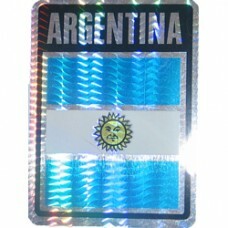 This 4X6 inch desk flag is polyester..
Argentina small decal. 4X3 inches ready to adhere to most surfaces. 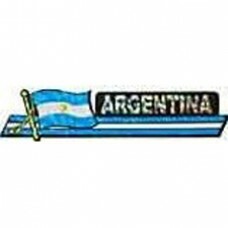 This small decal / sticker has .. 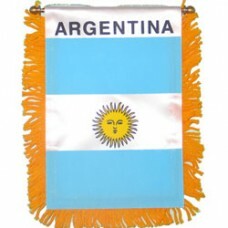 The Argentina flag bandana is made of 100% Cotton and measures approximately 22X22 inches. 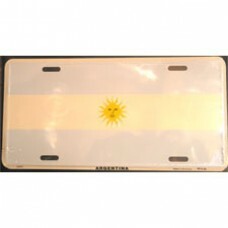 This pro..
Buy this Argentina flag license plate with all the colors of Argentina flag printed directly onto t..
Buy the Argentina flag mini banner. 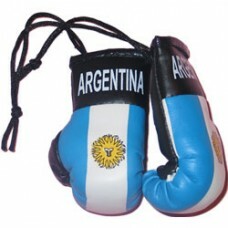 The size if 4X5 inches and comes with gold frills a suction cup..
Buy this pair of Argentina flag mini boxing gloves to hang from your rear-view mirror or to display.. 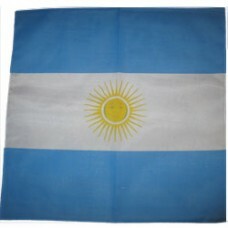 The Argentina stadium blanket is 50 X 60 made of 100% polyester (very soft and comfortable). 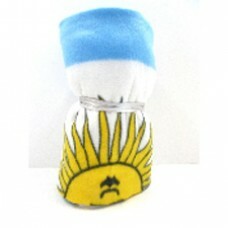 The edg..